Here’s an update on the 2008 race for the White House. Super Tuesday, February 5th is fast approaching and will make the race clearer or cloudier. Over 20 States are holding primaries or caucuses with large numbers of delegates at stake for the candidates of both parties. The remainder of the candidates are either out of the race or have no delegates. Rudolph Giuliani is the latest to drop out of the race. To win the nomination the magic numbers are, Democratic 2,025, and Republican 1,191. The question in the minds of political pundits is, will the nomination battle take place at the conventions, or will the nominee be decided prior to the conventions this summer? Super Tuesday will go a long way in deciding the nominations. 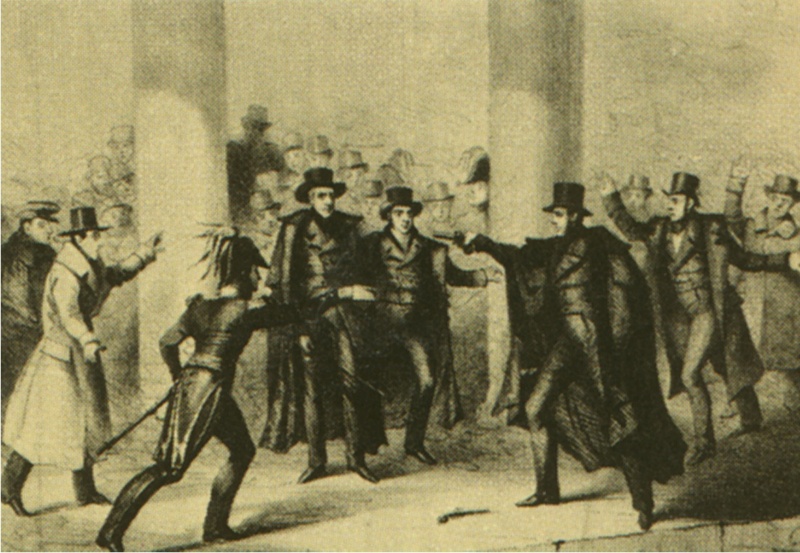 Above: Painting of attempt on Jackson’s life from U.S. National Archives. On January 30, 1835, the 7th President of the United States, Andrew Jackson, became the first to have an attempt made on his life. Elected in 1828 and serving his first of two terms “Old Hickory” as he was affectionately known, made many enemies for this stand on reform of the banking system and civil service patronage appointments. Washington, D.C. was experiencing unusually damp winter weather in January 1835. South Caroline representative William R. Davis has just died. The president and most of the cabinet were attending the funeral of Davis which was being held in the Capitol building. Andrew Jackson at 67 years of age was suffering from respiratory aliments and showing his age. After the service Jackson was walking through the Capitol Rotunda. He and his cabinet walked together through the crowd of spectators. Suddenly a man separated himself from the crowd and approached the president. He got to within three paces of the president, raised a small pistol, and pulled the trigger at virtually point-blank range. There was a loud bang, but nothing happened. The percussion cap had detonated, but the gunpowder failed to ignite. Immediately he pulled a second pistol from his coat, aimed at the president and pulled the trigger, but it too misfired. No harm was done to Jackson. By this time the crowd had been alerted by the noise of the first misfire that something was wrong. Jackson, outraged that someone was actually trying to harm him, charged the assassin. The president began savagely beating him with his cane. With the assassin now on the ground and Jackson still assailing him, others rushed to assist him. Lawrence was taken away for interrogation. The would- be assassin was Richard Lawrence, a former house painter. Lawrence had been stalking the President for several days. He had decided that the funeral service with its crowds and distractions would be an ideal opportunity to get close to him. Lawrence apparently made a move to attack Jackson on his way into the service but couldn’t get close enough to him. Richard Lawrence had asked the Jackson Administration for a civil service appointment and was denied. He also believed that the United States government owed him a substantial sum of money. Lawrence told authorities that this money would enable him to assume his rightful place as the King of England. He was enraged because the President would not authorize this payment. Finally Lawrence was convinced that Jackson had killed his father. These were the reasons for Richard Lawrence’s attempt to assassinate the president. Lawrence was brought to trial. During the one-day trial he repeatedly interrupted the proceedings, proclaiming that he was the King of England and Rome. The jury acquitted him by reason of insanity. Their deliberation lasted only five minutes. He was held at various hospitals and mental institutions for 26 years until his death in 1861. There was speculation that Lawrence was part of a conspiracy and even Jackson believed that Lawrence had been hired by his enemies to kill him, but there was never any evidence found to prove this. After his behavior at trial it was obvious that he had acted alone. Smithsonian Institute researchers did a study on Lawrence’s derringers a century after the assassination attempt. Both guns discharge properly on the test’s first try. It was found the odds of both guns misfiring during the assassination attempt were one in 125,000. 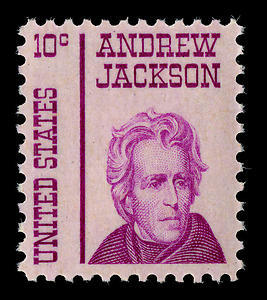 Right: Andrew Jackson on postage stamp issued by U.S. Postal Service. 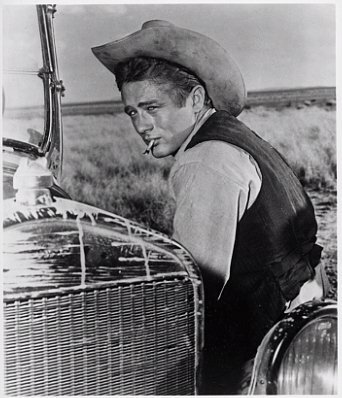 East of Eden, 1955: played Cal Trask and film was based on the John Steinbeck’s 1952 novel of the same name. The book has recently been on Oprah’s book club list and is experiencing a revival. Rebel Without a Cause, 1955: played a rebellious teenager. This film defined him. His co-star was Natalie Wood who also died before her time in later years. Giant, 1956: played Jett and had to age himself for the role. Co-stars were Rock Hudson and Elizabeth Taylor. Dean was killed in a car accident on September 30, 1955 while driving his Porsche at high speed. Alcohol and drugs were not factors, speed was. He was 25 years old. He was the first person to receive a posthumous Academy Award nomination for Best Actor. This was for East of Eden. He received his second Academy Award nomination for Giant, also posthumously. He did not win on either occasion, but to be nominated two out of three starring roles is incredible. 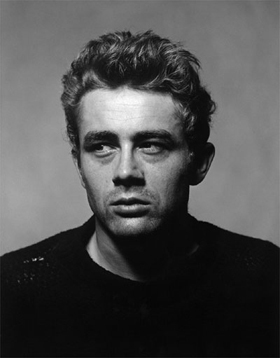 James Dean because of the rebellious characters he played in these films and his death in a fast car at a young age, has become a cult figure. At right is the postage stamp issued by the United States Postal Service in 1996 to honor Dean. Like the song says, “only the good die young”, or so it seems at times. I am a huge fan of the Super Bowl and of the National Football League (NFL). This Sunday Febuary 3, 2008 will mark the 42nd Super Bowl. 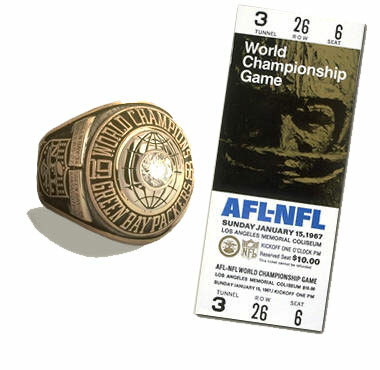 This championship game started January 15, 1967 as a battle between the established NFL and the upstart American Football League (AFL). The AFL was a direct competitioner of the NFL. Eventually the AFL was merged with the established league. This merger took place after Super Bowl IV. Of the first four Super Bowls, the NFL won the first two, and the AFL the next two. Today marks the day the Green Bay Packers hired coach Vince Lombardi so I thought I’d write about how this man had such a great impact on the Super Bowl. He was hired by the Packers on January 28, 1959. At the time the Packers were a losing team having finished with a 1-10-1 record the previous season. This was his first head coaching job in the NFL. For 4 years prior to this he was assistant coach of the New York Giants. The first season with the Packers he lead them to a 7-5 record, and the next year to the championship game where they lost 17-13 to the Philadelphia Eagles. He won his first championship in 1961 when they defeated the NY Giants 37-0. In total his Packers won 5 NFL Championships (pre-Superbowl era) and the first two Super Bowls. After the second Super Bowl Lombardi retired. He just could not stay retired though, and in 1969 he accepted a head coaching job with the Washington Redskins. The first season he coached the Redskins to their first winning record in 14 years. His overall coaching record now stood at 105-35-6 without a single losing season. 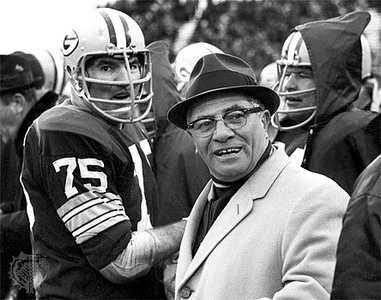 Vince Lombardi personified football coaching in the 1960s, and was perhaps the greatest coach in NFL history. Tragically, he died September 3, 1970 at the age of 57 of intestinal cancer. The NFL inducted him into the Pro Football Hall of Fame the next year. 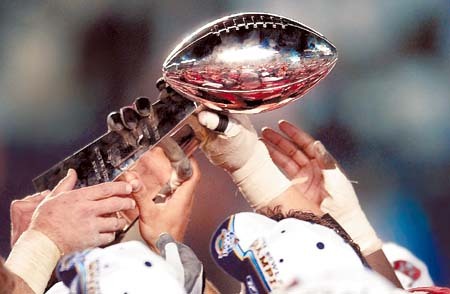 Most significantly, the Super Bowl Trophy was renamed the Vince Lombardi Trophy in his honor. His beloved Green Bay Packers have appeared in four Super Bowls and have won three. This season they came close, but lost to the NY Giants in the NFC Championship Game in overtime. Above: Lombardi Trophy, awarded to the winner of the Super Bowl Championship being held aloft by winning players. I’ll leave you with some quotes about and by Vince Lombardi. I think you’ll agree a lot of what he said made sense, not just to the sport of football, but to everyday life. Vince Lombardi was a truly remarkable man. 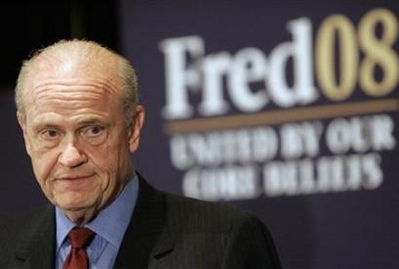 Republican Fred Thompson (above) withdrew today from the presidential race. He showed promise early, but once he got on the campaign trail fizzled out. On the Democratic side, Governor Bill Richardson of New Mexico withdrew last week. The field is gradually thinning out, but the heat is being turned up, witness the Democratic debate last evening. Lots of verbal barbs and heated exchanges. Super Tuesday is approaching and I anticipate further culling of the herd. Stay tuned it is getting exciting. The race for the Republican presidential nomination just heated up. 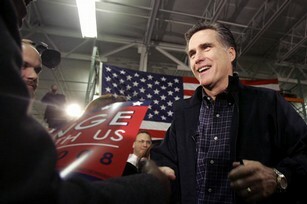 Mitt Romney, former governor of Massachusetts, won the Michigan primary yesterday and is now the delegate leader. He defeated a formible candidate in John McCann, senior Senator from Arizona. Granted Michigan is considered the “home” state of Romney, but still a big win with delegates at stake. Willard Mitt Romney was born March 12, 1947 in Detroit, Michigan. He is the son of a famous father, George Romney, who was president and chairman of American Motors and governor of Michigan from 1963 – 1969. His father ran for president on a couple of occasions. Mitt has one brother and two sisters. He is married to Ann (nee Davies) and they have five sons. He had a close call with death in 1966 while in France on a mission for the Church of Jesus Christ of Latter-day Saints. He was driving a Citroen with five passengers. It was hit head-on by a drunk driver and he was thrown from the vehicle. It was thought that he had died, but it was an identity mix-up and in fact one of his passengers had been killed. Mitt’s education consists of a B.A. from Brigham Young University (1971) and an MBA, JD from Harvard University, Law School (1975). He founded his own company, Bain Capital, a venture and investment firm in 1984. Today he is financially independent and a successful businessman and politician. His political career began when he ran unsuccessfully as the Republican candidate for the U.S. Senate in Massachusetts against none other than Ted Kennedy. We shouldn’t count that one. Kennedys and Massachusetts, well they go hand in hand. Next he took over as the president and CEO of the Salt Lake Organizing Committee of the 2002 Winter Olympics. At the time it was mired in controversy. He successfully got the event back on track and it ended up making money. Mitt was elected governor of Massachusetts in 2002, but did not seek a second term in 2006 when he was up for re-election. He officially declared himself a candidate for president in January 2007 and is considered to be one of the leading candidates. The one thing that he is battling in his campaign is his religious affiliation and the public perception of it. You see he is of the Mormon (or Church of Jesus Christ of Latter-day Saints) faith. While he was living in Belmont, Massachusetts he was bishop of the Cambridge congregation, then bishop of Belmont, and in 1986 became president of the Boston-area “stake” (analogy is a diocese). Mitt is facing the same battle that John Kennedy fought in his campaign of 1960, separation of church and state, and voter perception of religion. John Kennedy is still the only person of the Roman Catholic faith to have ever been elected to the Presidency. Can Mitt Romney become the first Mormon to be elected president? Religious affiliation is not a criteria in the Constitution of the United States for being President, nor should it be. Mitt like Kennedy before him needs to clearly demonstrate that he believes in the separation of church and state. By the way one of the biggest misconceptions of the Mormon church is that they condone and encourage polygamy. This is totally false. It is true that in the faith’s early years the practice was encouraged and allowed, but for over one hundred years now polygamy has been illegal and forbidden within the mainstream Mormon faith. Now for something completely different! I just had to post on this topic. I remember when my eldest daughter, who is now 30, was a young girl, she was Smurf crazy. She had them in all different sizes and yes she had Papa Smurf and Smurfette. Somewhere in my dusty archives I have a photo of her with a very large pile of them. She watched the television show every chance she got. Each expisode consisted of the villain, Gargomel, trying to get those nasty little Smurfs, and the Smurfs always came out on top. Of course being her father I was also subjected to the full dose of Smurfs on a weekly basis. There was Clumsy, Lazy, Smurfette, Papa, well you get the idea. Turns out the Smurfs are celebrating their 50th anniversary this year. Their creator was the late Belgian cartoonist Pierre Culliford, best known as Peyo. 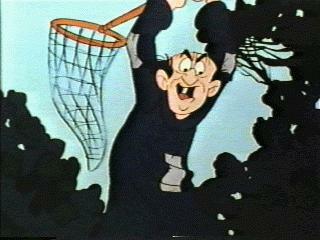 He introduced them in October 1958 in a comic strip. They were called Schtroumpf, but became known worldwide as Smurfs. They were peaceful little forest dwellers who lived in mushroom capped homes. 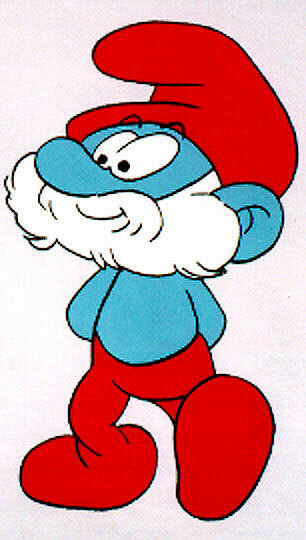 Smurfs debuted on North American television in 1981 and rapidly became a household name. There are plans to remaster and re-release the Smurfs television series. I am sending my daughter a link to this post so she can make sure she doesn’t miss any of the reruns. You are currently browsing the WRITINGS & RAMBLINGS blog archives for January, 2008.